Immediately after finishing college, I fell into a job that I was not happy with. At the time, I had no idea that it was going to provide me with a valuable skill – one that would help me avoid losing thousands of dollars and also give me the chance to help others protect themselves against monetary losses. The industry I’d fallen into was the “rent-to-own” business. As an “account manager,” I worked in the field to collect delinquent payments. Our customers were people who didn’t have enough cash or credit to buy things like televisions, stereos, refrigerators, etc. As you might imagine, the majority of them were in a fairly low-income bracket and had a default rate that would make a bank loan officer faint. At first, I thought it was going to be impossible to collect from these people, and that I was sure to be fired. Fortunately for me, the president of the company took me under his wing to teach me the ropes. I discovered that collecting money from people is really just a form of salesmanship. When you contact people about paying you money they owe, they are, understandably, going to be disagreeable. Their natural reaction will be to respond to your request for payment with anger, and you can end up in a nasty confrontation. Although it’s sometimes possible to argue a debtor into paying up, my mentor taught me that it’s much easier – and more pleasant – to use the art of persuasion. One technique he taught me was to start my conversation with the debtor by asking why he hadn’t paid. And during the three years I worked for him, I never once had someone tell me he didn’t pay because he’s a no-good deadbeat. Many had lost their jobs, had unexpected car repairs, or were fighting a debilitating illness that was draining all their financial resources. Others just didn’t know how to handle their money responsibly, and kept blowing their paychecks on things they really couldn’t afford. But it didn’t matter what the reason was. Because I listened sympathetically, they felt that I understood their situation. And that made it possible for us to calmly and rationally come up with a plan for them to pay what they owed. After leaving that job, I took on a collection job for a high-end jewelry retailer – and I discovered that the same techniques that I’d perfected in the rent-to-own business worked with white-collar debtors who had good credit and upscale lifestyles. Once again, I was able to maintain a very high success rate without much trouble. One extremely effective strategy that I used was to call people at their jobs. The great thing about calling someone at work is that it’s hard for them to dodge the call without divulging to their co-workers or boss that they’re in debt and someone is trying to collect from them. Now, I should warn you that there are laws regarding what’s legal and what’s not legal when you’re trying to collect money. If you violate those laws, you can end up being liable for significant civil damages. I’m not a lawyer and am not dispensing legal advice here, but my understanding is that it is perfectly within your rights to call a debtor at work as long as you don’t discuss their debt with anyone else there or don’t do anything that could be reasonably seen as jeopardizing their job. Certainly, there are formal steps you can take to collect money that people owe you – like taking them to small claims court or hiring a lawyer – but it is often not worth the expense and effort. However, if all it takes is a few calls or a letter, it can make sense for you to go after even relatively small debts. 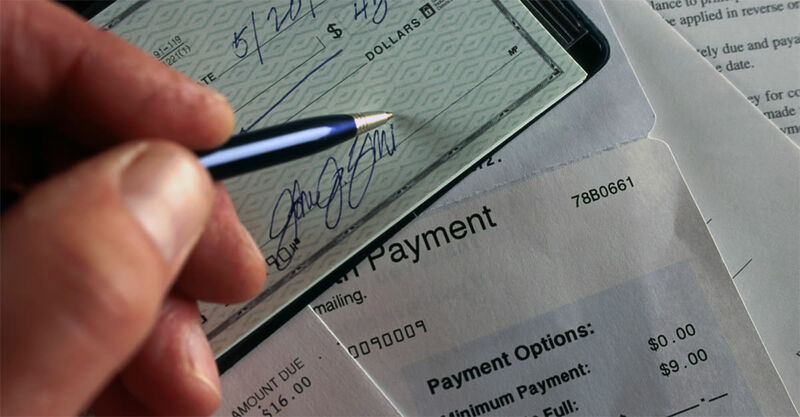 Determine when you’ll start to take action against the debtor. You don’t want to bring down the hammer on a friend who borrowed 20 bucks just because he hasn’t paid you back within two weeks, or on a good customer just because he’s a little late with a payment. As soon as you start going after your money, your relationship is going to turn into an adversarial one. So, chances are, you’re going to lose that friend or customer.But at some point, even in cases like those, you’re going to have to try to collect. The question is when? After 30 days? 60 days? 90 days? Every situation is different, so you’ll have to decide what makes sense. Contact the debtor with a gentle reminder. Your first contact with the debtor should be in the form of a gentle reminder, either by mail or on the phone. Say that you’re just making he’s aware that the debt hasn’t been paid. This approach allows him to save face by claiming that he “didn’t know” or “forgot.” And, in fact, a certain percentage of debtors will pay up as soon as they realize that you don’t intend to let the debt just vanish. If the gentle reminder doesn’t work, the next step is to demand payment. You’re no longer pretending that you think the debtor may just be confused. No need to be hostile, but make it clear that you are rightly owed the money and you expect either (1) to be paid immediately or (2) a definite commitment as to when payment will be rendered.This will work with all but the most difficult debtors: those who honestly don’t have the money or those who just don’t feel like paying. If that doesn’t work – or if the debtor doesn’t keep his promise to pay by a certain date – you have to take an even stronger approach.If he just doesn’t feel like paying, you have no choice. You’re probably going to have to take legal action. But if he’s simply overextended and doesn’t have the money to pay all the bills he owes, you have to get yourself to the top of his list of priorities. How do you convince him to pay you before he pays someone else? By constantly contacting him – by phone, by letter, through e-mail, and maybe even by knocking on his door. Your persistence will pay off. Collecting money isn’t fun, but you can be assertive without being threatening, and civil without being ineffective. It’s your money, so there is no reason to feel reluctant about using bold tactics to collect it. And not having to write off losses from bad debts can make a significant impact on your balance sheet.